Wei-Tih Cheng was born in Chongqing, China and grew up in Taiwan. He received his Bachelor’s degree in Electrical Engineering from National Cheng Kong University in 1996 and Ph.D. in Electrical and Computer Engineering from Syracuse University, Syracuse, New York, in 1974. He and his wife, Esther, have been married for 45+ years and they have two sons and three grandsons. Wei-Tih had a very unusual career path. It is very clear to him that all these so-called accomplishments were not at all of his own doing or due to his own ability. He firmly believes that God guides his entire life and has put him in these positions for His purpose and glory. Wei-Tih started as a software engineer at IBM and was a senior programming manager when he left the company after more than 11 years. He was the first recipient of Information Systems & Communications Group’s Management Excellence Award for superior people and business management. During his 15+ years tenure, Wei-Tih helped advance the Center’s information technology greatly. He helped make the Center operations close to paper-less with digitized patient records and all-digital diagnostic imaging. Under his leadership, many healthcare application systems were implemented which helped make electronic medical records a reality. It was due to his initiative that an Institutional Data Base (IDB) was created to keep track of detailed patient records concerning their cancer care. This data base, created before today’s Big Data craze, still plays an important role in patient care and clinical research today. In 2001, Aetna, the biggest health care insurance company in US at the time, was losing one million dollars each day and the relations with physicians were horrible. Wei-Tih was recruited to be Senior Vice President and Chief Information Officer (CIO) as part of a turnaround team. It was his experience and track record that made him attractive to Aetna. With the new leadership team in place, Aetna became profitable and made one million dollars a day in less than 18 months. The achievement was well recognized by Wall Street, and widely reported in business journals. As part of the four-person turnaround team, Wei-Tih’s responsibilities included directing the company’s IT strategy and managing the IT operations with a staff of 3,600 and a budget of $770 million. During his tenure of 4+ years, he provided leadership, making IT one of the core competencies of business leaders with proper ownership and accountability to optimize return on all IT investments. He partnered with business leaders in implementing a new IT governance process, business IT support infrastructure within all business units, quality improvement programs, talent management and succession plans. He also created value to business through streamlined funding process and enhanced project management discipline. Year after year, he helped slash IT budget significantly while increased the quality of software development by taking the organization to CMMI Level 3. 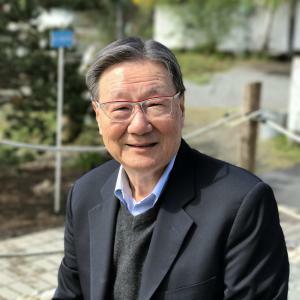 Having achieved his goal at Aetna, in 2005, Wei-Tih decided to retire from his career to devote the rest of his life to his family and ministry and charitable work. Shortly after Wei-Tih retired from Aetna, he was invited to join the national board of American Red Cross. On that board he served on the Finance Committee and provided advice to Red Cross’s IT operations. Healthcare Information and Management Systems Society (HIMSS) 1985-2005，He served on the board of this organization for several years and was voted a fellow of HIMSS. College of Healthcare Information Management Executives (CHIME) 1992-2001 He was a founding member and former Chairman (1996) of the this organization that serves healthcare CIOs as they deal with their IT management and career growth challenges. He was voted a fellow of CHIME. CIO Advisory Board 2001-2005 Wei-Tih served on the CIO Advisory Board of several corporations. Healthcare Information Systems Executives Association (HISEA) 1987-2001 He was one of the three original founders and served as its chairman in 1990. Consisting of CIO’s of the nation’s leading healthcare institutions, HISEA was formed to foster sharing of knowledge and experiences among healthcare CIO’s. The group just celebrated its 30th anniversary and is still going strong. Science and Technology Advisory Board, Executive Yuan, Republic of China 1987-1991 Serve on the Advisory Board of this government entity between 1987 and 1991. Brazil’s National Cancer Institute, Brazil Invited as a visiting advisor in 1996 and 2001. Conference Speaker Throughout his career, he published for and spoke at various industrial conferences. Wei-Tih was a member of the Greater NY NCKU Alumni Association大紐約區成大校友會for many years before moving to Seattle in 2006 when he joined the NCKUNA-NW西北區成大校友會. Over the years, he attended several NCKUAA Carnival meetings 成大校友嘉年華會held in the US and Taiwan. Between 2009 and 2010, Wei-Tih proposed a Mentoring program （「饅頭」計畫）to NCKUAA and worked with other alumni such as Casey Yeh and Tommy Shwe. Unfortunately the proposal did not get implemented due to lack of interest. In 2005, Wei-Tih made a donation of $1,000.00 to NCKUAA-NA 北美成大校友會and in 2009, a scholarship fund was set up in the amount of $1,500.00 for two needy NCKU EE students through NCKU-NAAFI 北美成大校友會基金會. Wei-Tih became a Christian in 1969 and throughout his life he devoted much of his after-work time to ministry-related services. For many years he served on church boards of deacons providing leadership to further God’s Kingdom through local congregations. He also served on the board of directors of New York Summer Conference (NYSC) for more than 20 years. The highest attendance at NYSC reached more than 1,800. Since their early retirement in 2005, Wei-Tih and his wife, Esther, spend several months each year traveling to China to help Christians there with Bible study, marital counseling, workplace testimony, inter-personal relations, stress and time management, financial management, etc. It gives them tremendous satisfaction witnessing many people’s lives transformed through faith in Jesus Christ. It has been more than 11 years since they began this ministry and they are still going strong on this. In 2001, he was elected one of the Laymen of the Year by the Christian and Missionary Alliance. He was also elected as an Outstanding Citizen of the Year by the Westchester Chapter of Overseas Chinese Association (OCA) in the same year. In 2007, Wei-Tih, representing his family, was awarded the Distinguished Alumnus 校友菁英獎by his alma mater, National Chungli High School 國立中壢高中. This was partly to recognize the scholarship fund donated by his family. In 2008, Wei-Tih and his wife, with the assistance of their close friends, provided funding for the libraries of two rural elementary schools in China. Each library was equipped with computers and new books as well as furnishings. The students had never seen so many new books and computers. The total cost was US$10,000.00. After the devastated earthquake in Sichuan on May 12, 2008, Wei-Tih helped facilitate a donation of RMB$1,000,000.00 by a Christian Businessmen’s Fellowship to the Beijing branch of the China Red Cross for the relief effort. A year later, he and his wife went to the earthquake area to minister to Christian volunteers who came from all areas of China to help rebuild the affected communities. Since 2015, Wei-Tih and his wife have been funding scholarships for students in small rural villages in Taiwan. The objective of this program is to help those young men and women who have a desire to further their study but couldn’t afford it due to their family situations. Most of them come from broken families or have absent parents who have to earn a living in the cities away from home. The total donation for this ongoing program is NT$10,000,000.00. Beginning in 2015, Wei-Tih also serves on the board of International Chinese Biblical Seminary in Europe (ICBSIE)國際歐華神學院. Since 2012, he has been serving as a director of a private foundation devoted to several charitable causes including improving the lives of the disadvantaged in China.